Catalogue > Cities: maps and sights of cities and villages > 4. North Holland > AMSTERDAM. 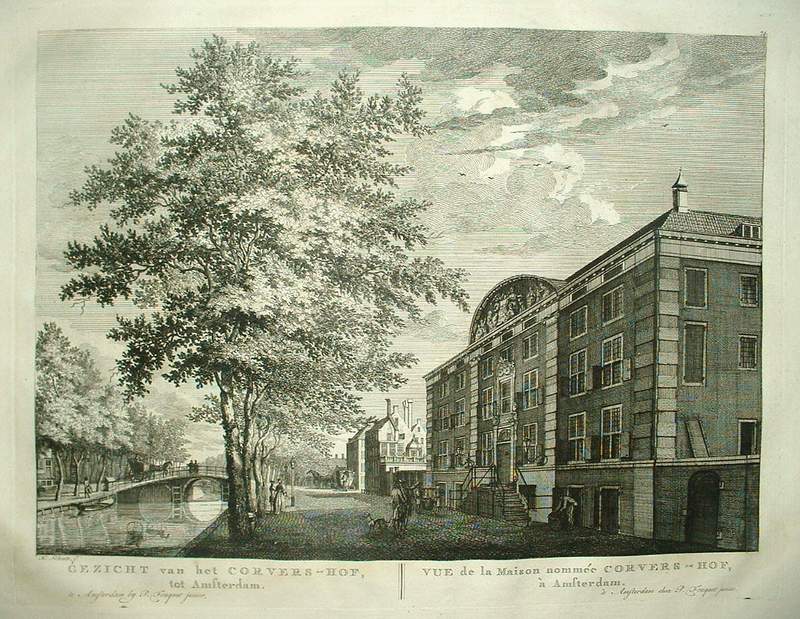 Nieuwe Herengracht. Corvershof. GEZICHT van het CORVERS-HOF, tot Amsterdam.